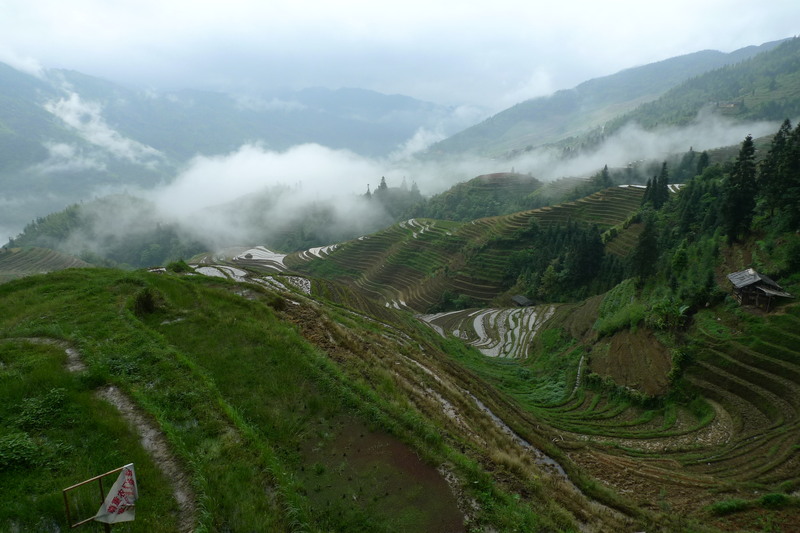 The agricultural landscapes of China are the focus of landscape architect Daphne Kao’s reflections. Agricultural landscape has its importance in every civilization. Agricultural land not only directly engages with food production, it also represents the most basic form of landscape marking by human-kind. Our modern society built on these agricultural foundations, but now they are moving quickly leaving farmlands behind. Today some farmlands are reclaimed by nature and wildlife, some more easily accessible ones now becoming the back garden of the urban inhabitants. Traveling over the rural lands of China, some lucky hidden villages which were not destroyed by The Cultural Revolution now have tourists centers and even cable cars to showcase the astonishing panoramic views. 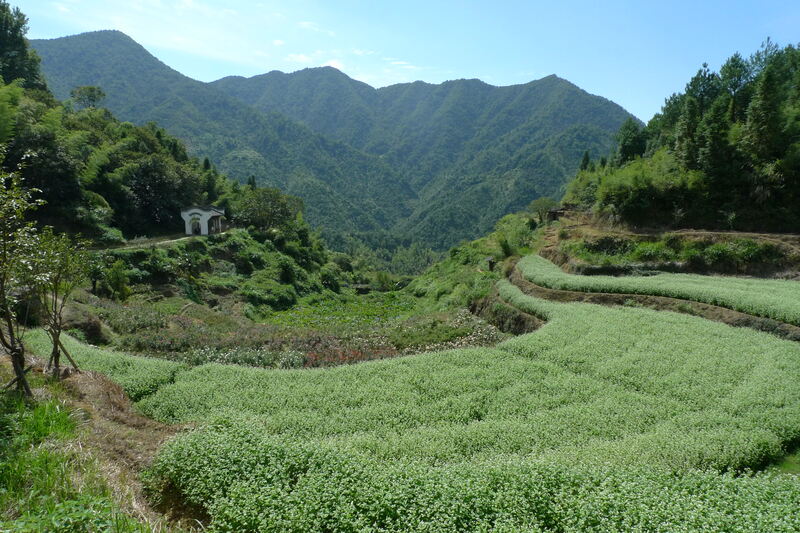 Landscapes of rice terraces have now been planted with seasonal flowers. As for the villagers and farmers? Sometimes the entire village is bought-out and moved to live somewhere else, some older farmers return to maintain their farming activity but many more return as tour guides to offer r taxi services with shiny business cards. On reflection, I wonder: what happens in the future if new generations are not willing to take up these labor intensive occupations? Is this type of landscape tourism preserving or destroying our previously productive landscape? Daphne Kao is a guest contributor to The Landscape. She is a landscape architect and designer based in Shanghai, China.